Choosing a Bike: Which Two Wheels Should Move You? 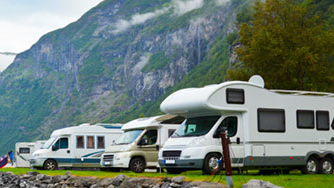 This philosophical effigy rings true in the sense that motorcycles connect you with your surroundings, while cars and trucks keep you separate from the wind, the sun, the sounds, and the energy of the very landscape you’re traversing. There’s also a visual energy to riding a bike. The mainstream media regularly shows so-called “outlaw bikers” riding Harleys or Ninjas, increasing the bikes popularity. However, there are other bikes available that are routinely left unsung. Keeping in this mind, there are plenty of bikes for every type of rider! In this post, we’re profiling some of the different types of bikes out there, the benefits of each, and why they deserve your attention – whether you’re a new rider or a seasoned rider in the market for a new bike. The rumble of a big V-twin is often associated with visions of leathers, beards, chrome, and the spirit of the prototypical crowd that epitomize the word “biker.” Common cruisers like many Harley Davidson, Indian, Victory, Yamaha, and Honda models are manufactured with laid-back riding and loud pipes in mind. The front rake on cruiser bikes is short and manageable, making the riding position upright and comfortable. One of the most beneficial riding characteristics of modern cruiser bikes is a low centre of gravity, making balancing the immense weight of these bikes and distributing your own weight an easy task. With engine sizes from 650cc to over 1200cc’s and seating for one or two, there are many bikes to choose from for every level of rider. Variants of the solid and well-mannered cruiser segment, power cruisers are just that; cruisers that offer beefed up powerplants and a more aggressive riding experience. 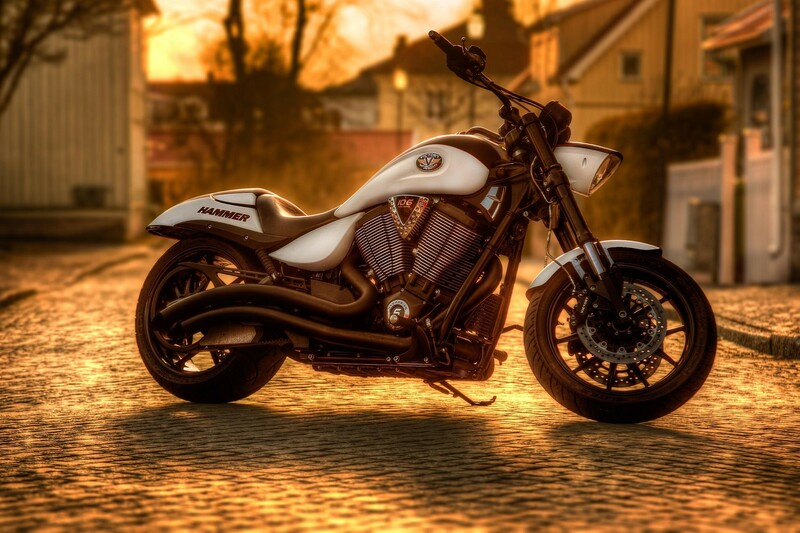 Visually, power cruisers like the Suzuki Boulevard M109, Harley Davidson Night Rod, and Triumph Rocket III, feature huge rear tires, and long, low riding styles. 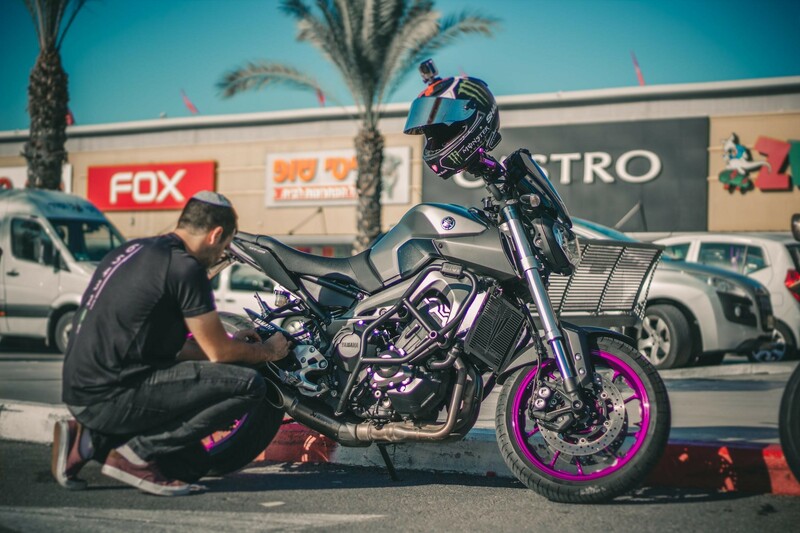 Power cruisers will routinely offer power upwards of 1600cc - with some even breaking the 2000cc point - these bikes are recommended for the most experienced riders who know how to handle immense power and breakneck speeds. Think of the iconic Harley Davidson from the film Easy-Rider, or many of the bikes that graced the screen of Sons of Anarchy - yeah - that’s a chopper. 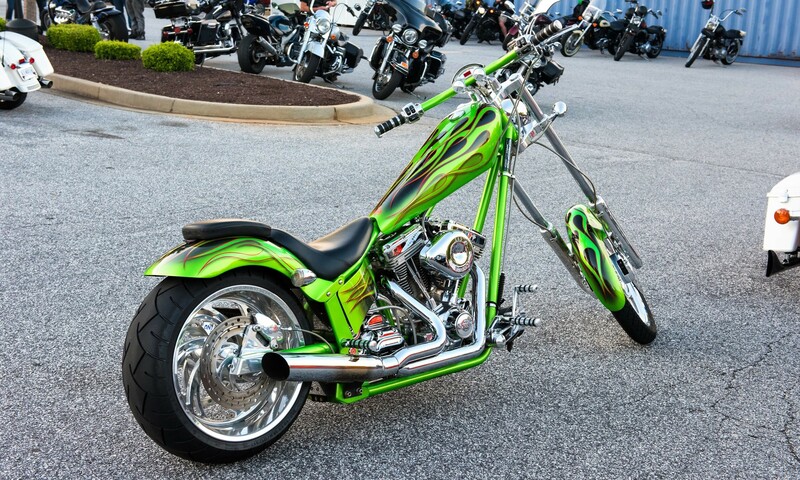 Aesthetically, choppers are bold, loud, colourful, and loaded with chrome. Choppers often feature hugely raked forks, a reclined seating position, and incredibly wide rear tires with skinny fronts. Often associated with the custom garage-build scene, Choppers are also popping up on the showroom floor ready-made from the factory. The Honda Fury, Yamaha Raider S, Harley Davidson Softail Rocker C, and the Victory Vegas Jackpot fill this segment with instantaneous street-cred and huge power. Choppers are often preferred by seasoned veterans of the riding scene and offer an aggressive style of riding that may take an inexperienced rider some serious getting used to. This bike was originally known as a bob-job from the 1930’s to the 1960’s. The modern Bobber is a style of custom motorcycle that is epitomized by the removal of excess body paneling and the front fender, while shortening the rear fender - giving the bobbed, or bobtail aesthetic its name. Bobbers routinely have their body paneling stripped to limit the weight of the bike, as well as to keep the engine easily accessible, given their custom nature. Bobbers are popular symbols of the hot-rod and club scene, reflecting a strong history of drag-racing and a rejection of factory tuned styling. As the Bobber style evolved after WW2, increasingly modified frames began to flood the style, helping to further reduce weight, but also to shorten the wheelbase and lower the seating position. 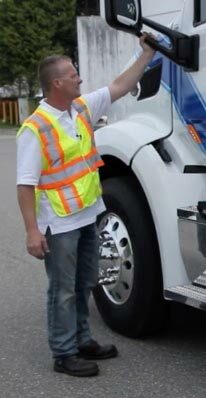 This exaggerates the diagonal line from the steering head to the rear axle. 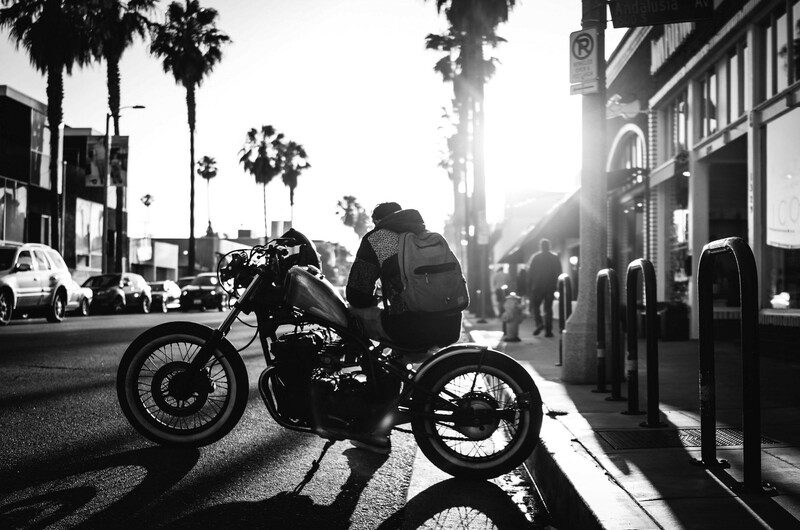 The elongated riding position and lack of modern luxuries make Bobbers very stripped-down and raw bikes to ride and are generally suited to the patrons of custom bike culture. Enduro bikes and their dirt bike cousins are manufactured for long distance on- and off-road riding, as well as nighttime riding. 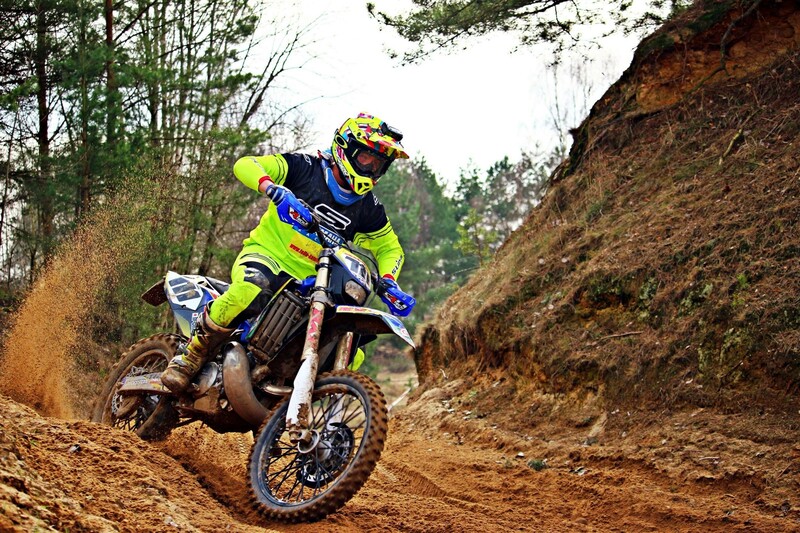 The term Enduro is usually used for many different types of bikes, most commonly Adventure Tourers and dual sports. Designed specifically to be ready for anything: trail riding, highway cruising, urban commuting and even gravel roads. Dual sport and adventure tour bikes come with a hybridized array of features, including a shorter wheelbase, long-travel suspension, and a raised, comfortable, upright seating position. These bikes also feature knobbed or off-road-centric tires and enough power to conquer both the backwoods and the highway. Popular models include the tough Triumph Tiger, the classic Kawasaki KLR-650, and the ultra-modern KTM 1290 Super Adventure S.
Naked bikes are essentially sport bikes without the bodywork. They take their styling cues from British bikes of the 1960’s that had their body paneling and fairings removed. This allowed DIY mechanics easy access to the engine and mechanical aspects for at-home repairs, without having to remove a piece of paneling. Naked bikes are offered by all sorts of manufacturers and often feature fat front tires to match the rear, giving them fantastic grip and traction. Naked bikes also feature a shorter wheelbase and a hybrid riding position, somewhere in between the sport bike push-up position and the comfort of the upright Dual Sport position. Accented by powerful engines and aggressive bare-knuckle styling, Naked bikes are popular choices for the urban commuter who doesn’t mind hitting the open road on the weekend for an invigorating ride. The sweethearts of the modern bike scene, Cafe racers are the direct result of the Ace Cafe in East London, post-WW1. The name of the game for ex-military riders was to wage a bet while at the neighbourhood cafe or public house, to see whether they could make it around the block on their bike before the next song came on the jukebox. This home-bred racing background and intimate urban setting made the aesthetics of the cafe bike staunch, short, low, and powerful. Finished off with a trademark rear seat fairing that would prevent the rider from slipping off the back end. 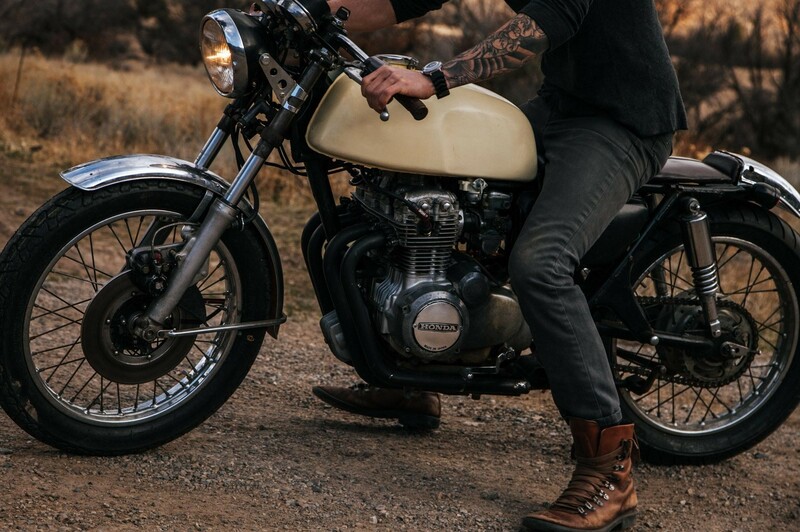 Hugely popular today, the cafe racer was popularized by its ability to be shaped from any number of older bikes like the Honda CB750, Yamaha XS650, Triumph Bonneville, or Kawasaki KZ750. 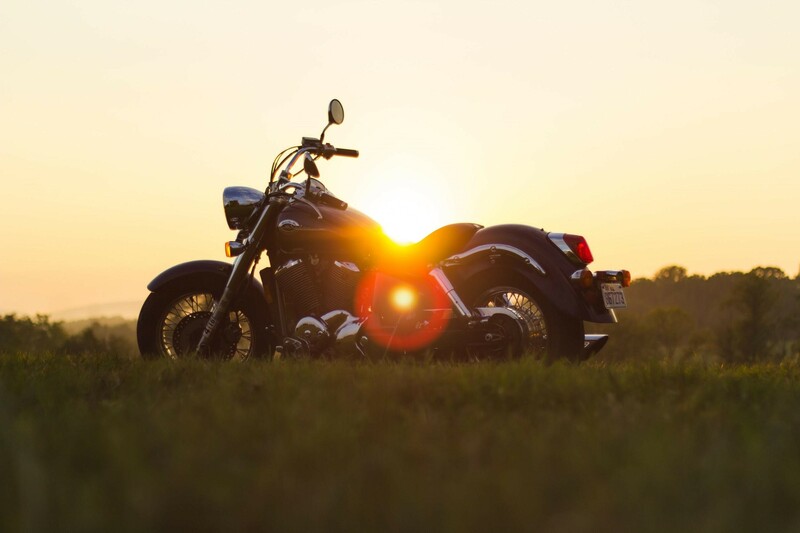 Riders today have access to an extensive variety of motorcycles, allowing for ones’ personality and tastes to shine through in their bike choice. The bike you choose is all about what kind of rider you are and what, if anything, you want to say with your ride.